On the penultimate episode of LEGACIES’ first season, Josie (Kaylee Bryant) tries to find information Alaric (Matthew Davis) is keeping from her. Legacies -- "I'll Tell You a Story" -- Image Number: LGC115a_0312bc.jpg -- Pictured (L-R): Jenny Boyd as Lizzie and Danielle Rose Russell as Hope -- Photo: Quantrell Colbert/The CW -- ÃÂ© 2019 The CW Network, LLC. All rights reserved. The kids get fancy! 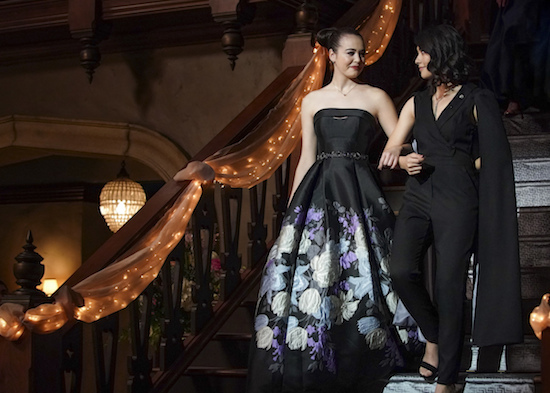 On the Thursday, March 14 episode of LEGACIES, the school prepares to host the Miss Mystic Falls. Legacies -- "Let's Just Finish the Dance" -- Image Number: LGC114c_0158bc.jpg -- Pictured (L-R): Kaylee Bryant as Josie and Lulu Antariksa as Penelope -- Photo: Quantrell Colbert/The CW -- ÃÂ© 2019 The CW Network, LLC. All rights reserved. Former THE VAMPIRE DIARIES star Paul Wesley steps behind the camera for Thursday’s episode of LEGACIES. 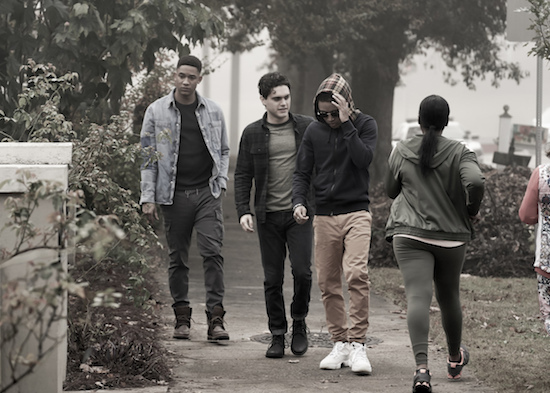 Legacies -- "The Boy Who Still Has a Lot of Good To Do" -- Image Number: LGC111b_0008bc.jpg -- Pictured (L-R): Peyton Alex Smith as Rafael, Aria Shahghasemi as Landon, and Quincy Fouse as MG -- Photo: Bob Mahoney/The CW -- ÃÂ© 2018 The CW Network, LLC. All rights reserved. 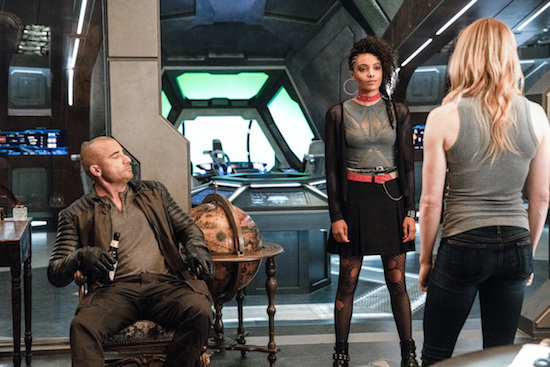 The LEGACIES crew goes on a road trip to find a missing urn during the Thursday, February 28 hour of The CW series. 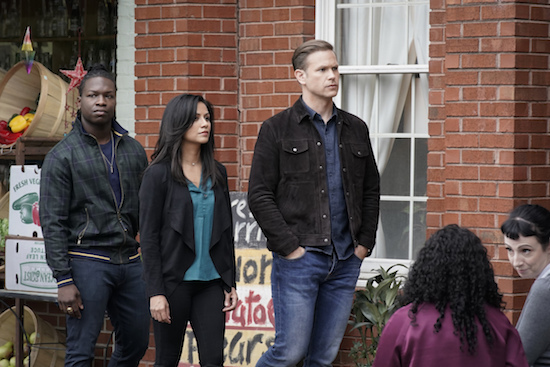 Legacies -- "There's a Mummy on Main Street" -- Image Number: LGC110b_0083bc.jpg -- Pictured (L-R): Christopher De'Sean Lee as Kaleb, Karen David as Emma, and Matthew Davis as Alaric -- Photo: Jace Downs/The CW -- ÃÂ© 2019 The CW Network, LLC. All rights reserved. 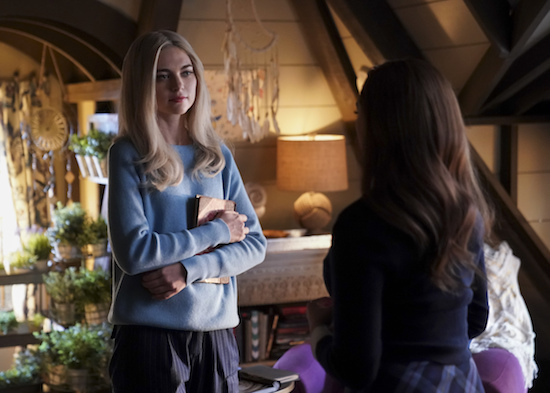 LEGACIES’ Lizzie (Jenny Boyd) is about to learn an important lesson…be careful what you wish for. 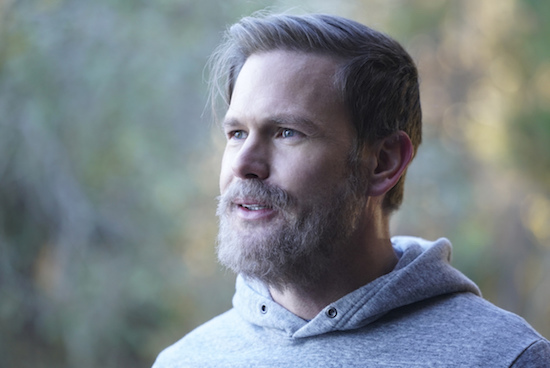 Legacies -- "There's a World Where Your Dreams Came True" -- Image Number: LGC112a_0008b.jpg -- Pictured: Matthew Davis as Alaric -- Photo: Annette Brown/The CW -- ÃÂ© 2019 The CW Network, LLC. All rights reserved. Think studying is a pain? LEGACIES’ students will have way more to worry about on the Thursday, January 31 episode. Legacies -- "What Was Hope Doing in Your Dreams?" -- Image Number: LGC113a_0111bc.jpg -- Pictured (L-R): Christopher De'Sean Lee as Kaleb and Peyton Alex Smith as Rafael -- Photo: Jace Downs/The CW -- ÃÂ© 2019 The CW Network, LLC. All rights reserved. The Thursday, January 24 episode of LEGACIES digs a little deeper into Landon (Aria Shahghasemi) past. Legacies -- "Maybe I Should Start from the End" -- Image Number: LGC108a_0407b.jpg -- Pictured: Danielle Rose Russell as Hope -- Photo: Guy D'Alema/The CW -- ÃÂ© 2018 The CW Network, LLC. All rights reserved. The Necromancer (Ben Geurens) is causing problems on the Thursday, December 13 episode of LEGACIES. 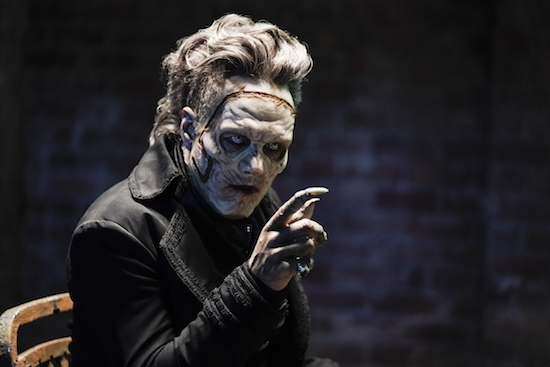 Legacies -- "Death Keeps Knocking on my Door" -- Image Number: LGC107a_0261b.jpg -- Pictured: Ben Geurens as Necromancer -- Photo: Jace Downs/The CW -- ÃÂ© 2018 The CW Network, LLC. All rights reserved. LEGACIES is hosting another VAMPIRE DIARIES crossover in “Mombie Dearest,” as Jodi Lyn O’Keefe pops up…but given her character’s death, the return is, well, complicated. 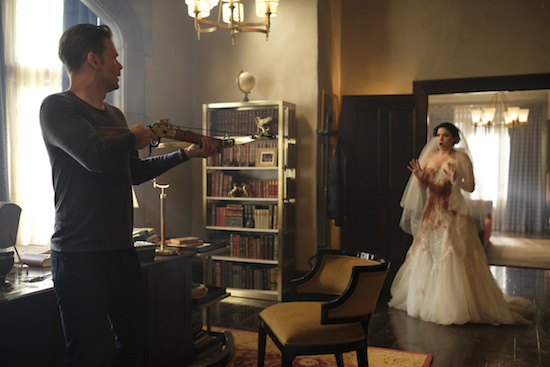 Legacies -- "Mombie Dearest" -- Image Number: LGC106a_0011b.jpg -- Pictured (L-R): Matthew Davis as Alaric and Jodi Lyn O'Keefe as Jo Laughlin -- Photo: Mark Hill/The CW -- ÃÂ© 2018 The CW Network, LLC. All rights reserved. LEGACIES’ Alaric (Matthew Davis) tries to help the kids by letting them form an honor council. But, naturally, things go awry. 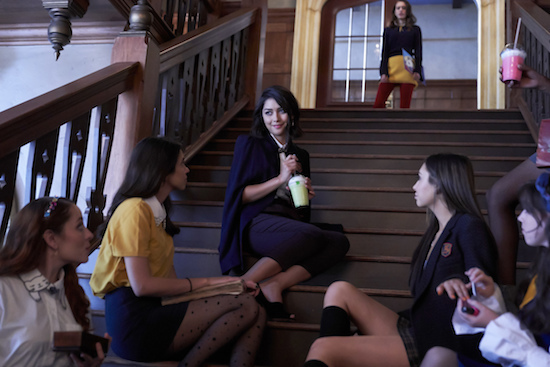 Legacies -- "Malivore" -- Image Number: LGC105a_0011b.jpg -- Pictured (L-R): Lulu Antariksa as Penelope and Kaylee Bryant as Josie -- Photo: Bob Mahoney/The CW -- ÃÂ© 2018 The CW Network, LLC. All rights reserved. On Thursday’s episode of LEGACIES, Hope (Danielle Rose Russell), Lizzie (Jenny Boyd), MG (Quincy Fouse), and Landon (Aria Shahghasemi) do recon at Mystic Falls High. 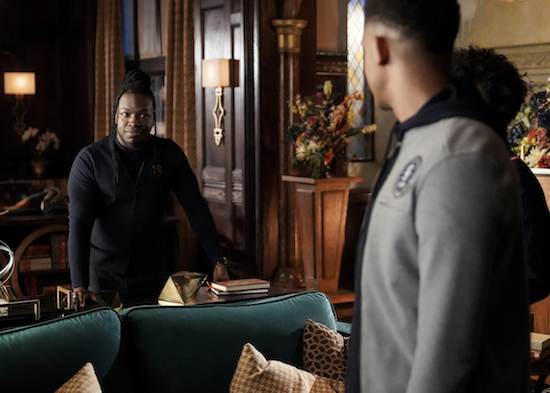 Legacies -- "Hope is Not the Goal" -- Image Number: LGC104c_0455bc.jpg -- Pictured (L-R): Matthew Davis as Alaric and Demetrius Bridges as Dorian -- Photo: Bob Mahoney/The CW -- ÃÂ© 2018 The CW Network, LLC. All rights reserved. 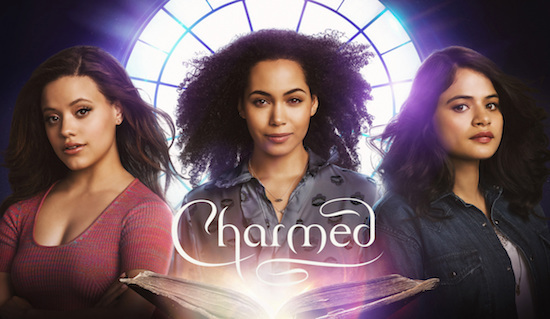 The CW has set its first stage of midseason premiere dates. The CW has ordered more episodes of its freshman shows.